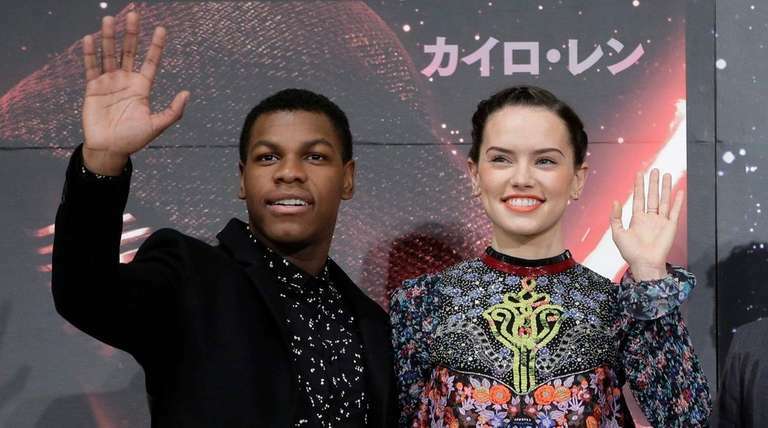 “Star Wars: The Force Awakens” leads John Boyega and Daisy Ridley, “Late Show with Stephen Colbert” bandleader Jon Batiste, singer Demi Lovato, and art-house stars like Saoirse Ronan and Alicia Vikander have all made Forbes magazine’s lists, in various categories, of 30 influencers each under 30 years old. Under Hollywood, the magazine lauded the drive of youthful filmmaker Xavier Dolan, 26, who told Forbes, “I started directing movies at 19, to cast myself in a part because I was unemployed as an actor.” His 2014 film “Mommy” won the Jury Prize at Cannes, and his video the following year for Adele’s “Hello” broke an online record 27.7 million views in a day. Others followed their parents’ footsteps, with Ice Cube’s son O’Shea Jackson Jr., 24, playing his father in the film “Straight Outta Compton,” and Dakota Johnson, 26, daughter of actors Melanie Griffith and Don Johnson, starring in the half-billion-dollar hit “Fifty Shades of Grey.” And some, such as YouTube’s head of originals product marketing, 26-year-old Nicholas Selz, were emblematic of a generation seizing opportunities in emerging media platforms. In the category Music; Forbes spotlighted singer-songwriter Shawn Mendes, 17, who toured with Tayor Swift over the summer. Electropop singer Halsey, 21, went from playing 400-seat venues to selling out Madison Square Garden in less than a year, the magazine lauded. The lists include no repeats from previous years, which explains the absence of such young stars as Jennifer Lawrence and Lena Dunham. Judging on the Hollywood list were writer-producer Shonda Rhimes, Legendary Entertainment head Thomas Tull, and TV personality and fashion designer Kelly Osbourne. Judging for Music were agent Zach Iser, rapper Mac Miller, guitarist Gary Clark and ZinePak co-founder Kim Kaupe. All worked in conjunction with three Forbes staffers.